The knee is the largest and one of the most complicated joints in the body. The three bones that connect to form the knee joint consist of your femur (thigh bone), tibia (shinbone), and patella (kneecap). As the knee is one of the strongest joints in the body, it is also easily injured. While knee pain can result from an athletic injury or arthritis, it is important to understand your symptoms so it can be treated accordingly. Whether knee pain is new for you or something you have been coping with for years, we can help you begin to live pain-free! 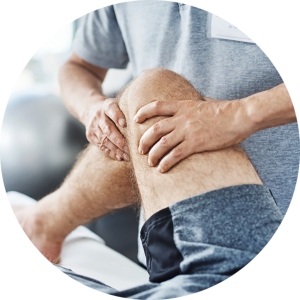 Knee pain can be caused by a wide variety of reasons, from a simple injury to an existing condition. We know that living with knee pain can really be a burden. Let us help you kick that pesky pain with what we do best! Not only can we help you with your knee pain, but you can help you with your knee pain. In addition to physical or stem cell therapy, there are simple everyday actions you can take to help reduce your pain. Are you suffering from knee pain? We can help! Anterior Cruciate Ligament (ACL) injury is one of the most common sprains or tears. It is especially common in athletes who are in high demand sports such as; football, soccer, and basketball. Changing direction quickly, direct collision, or jumping and landing badly are a few ways you can accumulate an ACL injury. Posterior Cruciate Ligament (PCL) is a ligament inside of the knee that is far less common to cause injury to than the ACL. Although it is larger than the ACL, it is still capable of acute to severe injury. The Posterior cruciate ligament can tear during a sport or a motor vehicle accident where the knee is hit below the shin causing it to tear. An injury from a vehicle collision or fall can cause a fracture in the knee or kneecap (patella). People also suffering from bone disorders or osteoporosis that weaken the bones are capable of fracturing their knee by stepping wrong. Dislocation of the knee is usually occupied by a popping sound. Although uncommon, it is severe and painful. Dislocation can happen when the bones connected at the joint have been forced out of place, usually by hard falls, motor vehicle accidents, or sports. Knee tendon pain is most common in athletic individuals and is mostly felt in the front of the knee. Knee tendon tears are usually always painful and full tears limit the straightening of the leg in the patients. 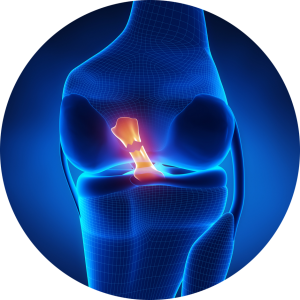 A meniscus is cartilage in your knee that protects the joint. Meniscus tears are typical in contact sports and when a person changes direction quickly. Usually there is a special risk for meniscal tears in older athletes, as the meniscus weakens as with age. Osteoarthritis, also known as wear-and-tear arthritis is the most common joint condition. It typically occurs in older people due to all of the wear-and-tear on your knee joints over the years. Although it is commonly occurs with age and usage, it can appear in adults of any age. Rheumatoid arthritis is an autoimmune disease that attacks the joints, causing inflammation. 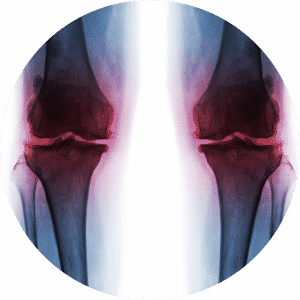 Rheumatoid arthritis is symmetrical, meaning that if it affects one knee it will typically affect the other. It varies in severity and it is possible it can come and go. Pseudogout, also known as pyrophosphate deposition disease, is another type of arthritis. It is caused by crystals filled with calcium that begins in the joint fluid. Knees are the most commonly affected by Pseudogout. Many times if you have hip or foot pain you tend to walk differently to spare the tension. Typically, this can cause stress in your knee, in some instances the hip or foot pain can be related to knee pain. Iliotibial Band Syndrome is known to be a very common knee injury. It is normally caused by an overuse injury of the tissues that are located on the outer thigh and knee. Pain occurs on the outside of the knee usually during running. 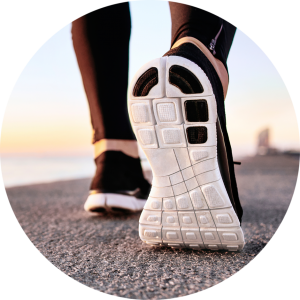 Opt for exercises that include swimming or walking because it can ease your pain, strengthen your muscles around the joints, and maintains bone health. Being overweight can cause stress on the knee joints. Maintaining your weight will decrease pressure on the knee joints and reduce the risk of Osteoarthritis. Wearing shoes with heel support and a good arch is highly recommended. It will provide you with balance and structure, subsequently limiting knee pain or injury.